Stocks are limited as this is a new product. Pre-made stretcher bar packs over 36" will now be made of engineered laminated wood to control warping. Price has increased due to higher production cost. Limited stock left of of unlaminated bars. Quick Color Match Version 2.1.2. can be downloaded free of charge from EIZO’s website, wwww.eizoglobal.com. Regrettably Sihl has discontinued this great product due to increased cost of base material. Our stock is limited. Please use our Inkjetpro Premium Edition canvas at the same price as an alternative. We have changed from Startrack to Border Express for road freight for better performance. Please use another browser. Shop is safe. A better priced alternative is Moab Juniper Baryta Rag. Call for samples. 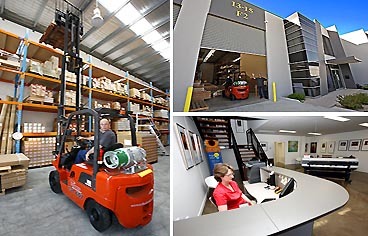 Giclée Media Supplies (GMS) is Australia's Most Comprehensive Direct Distributor of Aqueous Inkjet and Signage Media. We import Moab Digital Papers, Museo Digital Fine Art Media, Somerset Digital Media, Sihl Masterclass Media, Jacquard InkJet Fabric Systems and Rising Museum Mountboards. Professional inkjet printers, photo labs, photographers and artists purchase wholesale media directly from GMS, secure in the knowledge that the support, product availability and price are not bettered anywhere in Australia. Unique Range of Custom Media. In addition to these famous brands the entire InkjetPro range of digital media, protective coatings and framing systems are designed at our facility in Braeside, Victoria in accordance with Australian and New Zealand customer requirements. The InkjetPro range of liquid protective coatings and acrylic mounting systems are made in Australia, the remainder being manufactured under exclusive license and imported. GMS also distributes the Canon imagePROGRAF range of wide format printers and Wagner XVLP spray guns. These products form The_Giclée_System - a complete system for archival inkjet printing featuring best of breed products from both in-house and imported sources. GMS delivers door to door using the most economical and reliable courier services. In most cases, Australian capital cities, 1 day to Melbourne, Sydney and Adelaide, 2 days to Brisbane, 4 days to Perth. For most regional Australian locations add 1 day. Orders placed and paid for online before 3pm AEST will be shipped same day.